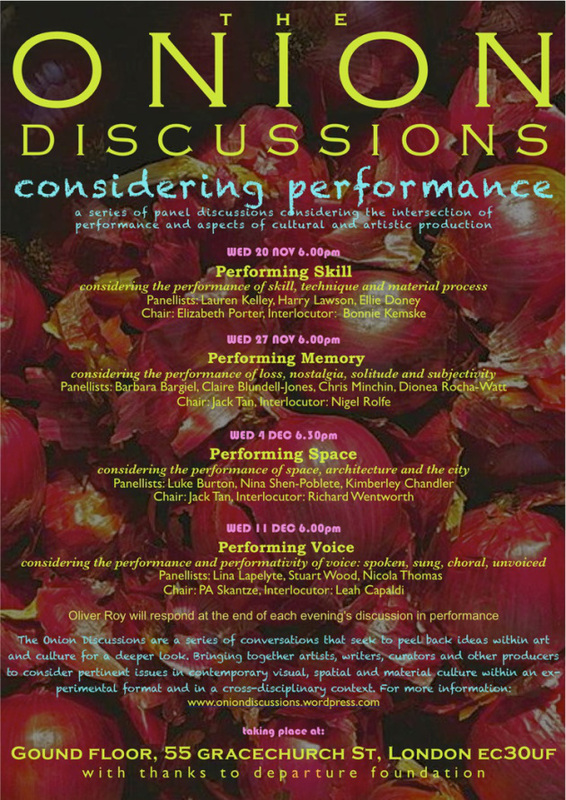 a series of panel discussions considering the intersection between performance and aspects of cultural and artistic production. The ONION DISCUSSIONS this year considers how performance relates to different areas of artistic production. The series starts with a consideration of skill and its presentation within processes of making work. Then we consider the performativity of loss, remembrance and subjectivity. 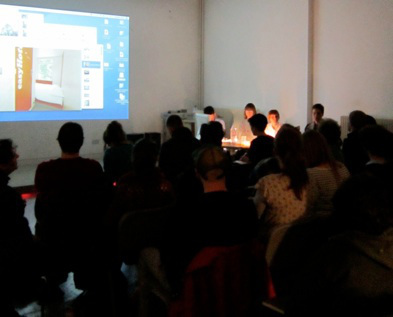 The performance of architecture and space in the city forms the the third discussion before the final panel considers the operation of voice in performance. The CONSIDERING PERFORMANCE Onion Discussions brings together artists, musicians, academics and writers to peel back our understanding of the intersection of performance and culture. With thanks to DEPARTURE FOUNDATION and their Lead Curator, Louise Ashcroft. This series has been organised by Jack Tan and Elizabeth Porter.